On the 15th of April 2013 we invited several local representatives of the municipal administration, civil society organizations, local entrepreneurship and political parties to the Institute for Political Science at the University of Münster to talk about challenges the city of Münster is facing. 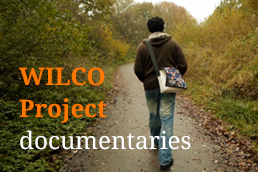 With one exception all participants had already been involved in the WILCO research process at some point. For instance, they were interviewed as experts or contributed their opinions in one of our three focus group interviews. the diffusion phase, in which innovations are applied to various socio-economic levels. 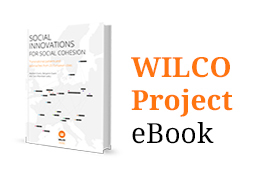 In our presentation, we referred to the findings of the entire WILCO consortium and explained that with regard to Münster, local initiators for social innovations mostly come from nonprofit organizations whereas every 5th innovation is initiated by the local administration or politics. 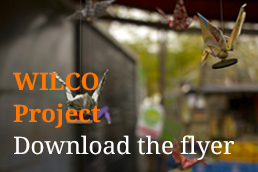 Only few innovations can be traced back to so called social entrepreneurs. Furthermore, we presented three identified types of innovations in Münster – new types of service oriented innovations, “network-hubs” and new types of governance structures. After giving a brief overview of the research design, we applied the three phases of the innovation process to recent local developments in Münster. We identified the main actors such as the mayor and the marketing department of the Westfälische Wilhelms-University and were therefore able to emphasize the connection between the university and the municipal administration. The realization phase in Münster was based on the integration of different fields of policies such as economic and cultural, social or educational policy. However, the focus of the current governing coalition is on diffusion of the innovations that were established over the last years, while the invention of new ideas is reduced due to a certain “weariness” of the coalition. 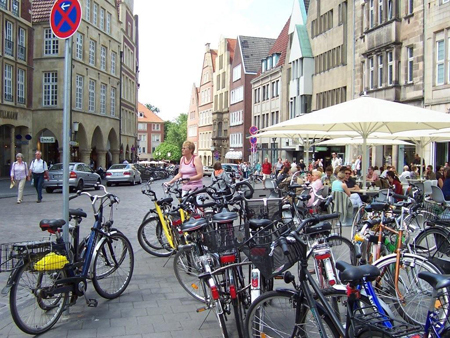 This emphasis on diffusion is advanced by Münster Marketing in particular, a municipal department established to create an integrated city marketing. The second part of our local event involved an in-depth discussion during which we asked the participants for their opinions as regards our findings. Moreover, we prepared three main clusters of questions concerning the issues of junior staff on the local level (if there are young successors who can bring fresh ideas into the city), whether Münster can be seen as a closed shop concerning initiatives of innovation and whether innovations can only be successful if they are part of the local marketing strategy.